Update: The Pokémon Go app isn't ready to support the Plus wearable yet and that's why the launch has been pushed back until September. A Nintendo spokesperson told TechRadar, "The delay is due to the preparations for the Pokémon Go application update in order to optimize Pokémon Go Plus. "In order for us to offer new experiences to play Pokémon Go with Pokémon Go Plus with a quality level high enough to satisfy as many people as possible, we decided that it is necessary to take enough time for the completion." Pokémon Go is eating into the phone battery of an estimated 75 million players around the world, while the one solution to play without eating up your charge has been delayed. 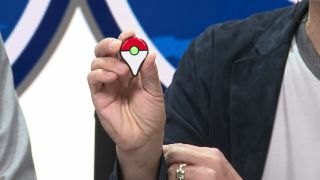 The Pokémon Go Plus wearable was set for release on July 27 around the world, but now Nintendo has confirmed it will be delayed until September. Nintendo of America tweeted, "The#PokemonGO Plus accessory will now be released Sept 2016 instead of the originally expected end of July launch." The Pokémon Go Plus wearable will sit on wrist and vibrate whenever a Pokémon is nearby, allowing you to open up your phone and catch it. It'll cost you $35 (£35, around AU$65) and you can pre-order now. It's not currently clear if you'll be able to stop the Plus vibrating for Pidgeys, Drowzees and Rattatas and keep it for the rare Pokémon.